Earlier today, in Wachovia Bank N.A. v. Superior Const. Corp., COA10-1158, the North Carolina Court of Appeals reversed a lower court’s controversial determination that partial lien waivers signed by a general contractor effectively changed the date of the contractor’s first furnishing of labor and material. My colleague down the hall, Chris Osborn, summarized the lower court decision in an article published last summer in the NCBA Construction Law Section’s periodical, Change Order. The lower court decision, Wachovia Bank, N.A. v. Superior Construction Corporation, et al., 2010 NCBC 9, Mecklenburg County Civil Acton No. 07 CVS 21256, caused grave concern among contractors, subcontractors, and suppliers, because under North Carolina law, the first furnishing date determines the lien claimant’s place in line to receive proceeds from a foreclosure sale. Thus, even if the lien claimant files its lien at the end of the project, a perfected mechanic’s lien will relate back and become effective from the first day the general contractor started work. Priority is important because in North Carolina its “first come, first served” when the proceeds of a foreclosure are distributed. In most situations, the construction lender or bank will record a deed of trust before the contractor begins work. In those cases, the lender will be made whole before the contractor gets a penny from the foreclosure sale. The slump in property values makes priority even more important these days, because a contractor in second place may end up empty handed. Whereas Superior Const. has been employed by [Intracoastal] LLC to furnish labor and/or materials for the project known as [The Preserve.] Now, therefore, the undersigned, for and in consideration of the sum of $ [ _ , __ .__] and other good and valuable consideration, the receipt whereof hereby acknowledged, do hereby waive, relinquish, surrender and release any and all lien, claim, or right to lien on the above said described project and premises, arising under and by virtue of the mechanic’s lien laws of the state of North Carolina on account of any labor performed or the furnishing of any material to the above described project and premises up to and including the (day) ______of (month)______ , (year) 2005. Upon receipt of this month’s draw request of $ [ ____, ___. __]. Superior Construction will also waive and release any and all liens or claims, or right to lien on the above project as it relates to the stated draw request. The trial court concluded that the “any and all lien, claim, or right” language in the lien waiver acted to change the date of Superior Construction’s first furnishing. This interpretation was a dramatic departure from the entrenched view that lien waivers reduce the amount that can later be claimed by the contractor but do not affect the contractor’s priority. Superior Construction’s “relation back” date thus changed from April 22, 2005 (about a month before the Deed of Trust was recorded) to May 31, 2005 (twelve days after the Deed of Trust was recorded). The trial court’s decision let Wachovia move to the front of the line. The Court of Appeals disagreed with the trial court’s interpretation of the lien waiver language. Reading the “on account of” language to mean “because of,” the Court of Appeals concluded that the language used in the lien waivers “does not in any way refer to a waiver of Superior’s ‘place in line;’ instead, it simply refers to a waiver of ‘any and all’ lien rights applicable to specific payments.” The Court of Appeals moved Superior back to the front of the line. The Court of Appeals in the above-quoted language appears to be referring to subordination agreements, wherein the contractor agrees to stand behind a lender. While the subordination agreement does move the lender in front of the contractor, this is accomplished without altering statutorily-defined events such as first or last furnishing dates. I question whether statutorily defined events such as dates of first and last furnishing may be altered by contract. Mechanic’s liens are subject to strict statutory requirements that may not be altered by contract or whim. 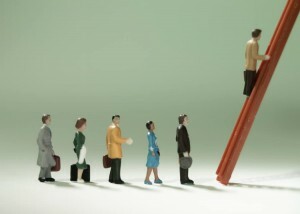 We know, for example, that an owner may not agree to extend the 120 day lien filing deadline for a contractor. If a lien on property is not filed within 120 days of last furnishing, it is lost no matter what. We can also assume that an agreement to contractually establish the date of first furnishing earlier than the date the contractor actually arrived on the project site would not be enforced. I suspect that lenders with a first position Deed of Trust, or subcontractors whose priority may be affected through no fault of their own, might take issue with such a practice. By my reckoning, the Court of Appeals devoted too much attention to the lien waiver language and not enough to the provisions of Chapter 44A (the NC lien statute). Finally, keep in mind that the proposed lien law revisions in House Bill 489 may be enacted into law. If this occurs, priority will be established through the filing of a Notice of Commencement, and partial and final lien waivers will follow a statutorily prescribed standard form. Gregory L. Shelton is licensed to practice in North Carolina, South Carolina, and Florida. He is a South Carolina circuit court mediator and North Carolina superior court mediator. 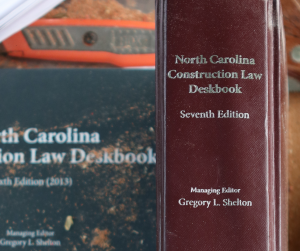 Greg is the Managing Editor of the North Carolina Construction Law Deskbook, the definitive treatise on construction law in the state. He is also Florida board certified as a construction law specialist. He practices at Horack, Talley, Pharr & Lowndes, P.A. Phone: (704) 377-2500 Fax: (704) 716-0905 Email: GShelton@horacktalley.com.